David Thouless, Duncan Haldane and Michael Kosterlitz, who are now affiliated with universities in the United States, were honored for work in the 1970s and '80s that shed light on strange states of matter. 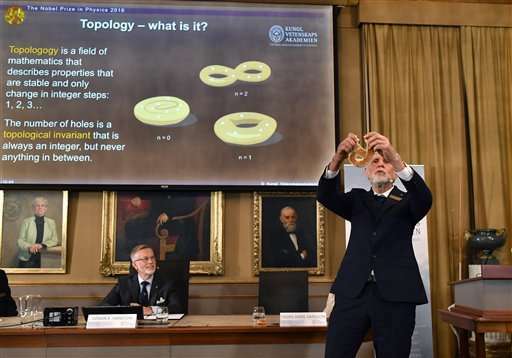 "Their discoveries have brought about breakthroughs in the theoretical understanding of matter's mysteries and created new perspectives on the development of innovative materials," the Royal Swedish Academy of Sciences said. Their work called on an abstract mathematical field called topology, which presents a particular way to describe some properties of matter. In this realm, a doughnut and a coffee cup are basically the same thing because each contains precisely one hole. Topology describes properties that can only change in full steps; you can't have half a hole. "Using topology as a tool, they were able to astound the experts," the academy said. For example, in the 1970s, Kosterlitz and Thouless showed that very thin layers of material—essentially containing only two dimensions rather than three—could undergo fundamental changes known as phase transitions. One example is when a material is chilled enough that it can start showing superconductivity. "This was a radically new way of looking at phases of matter," said Sankar Das Sarma, a physicist at the University of Maryland in College Park. 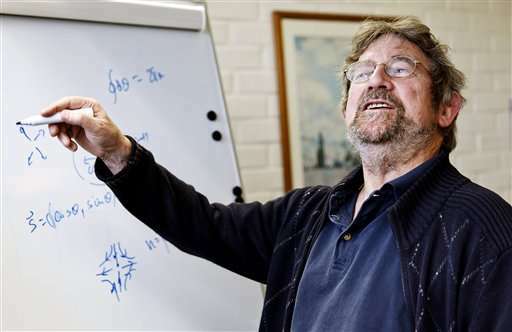 "Now everywhere we look we find that topology affects the physical world," he said. "My first thought was someone had died," he told The Associated Press. "But then a lady with a Swedish accent was on the line. It was pretty unexpected." "I'm a little bit dazzled. I'm still trying to take it in," he told AP. 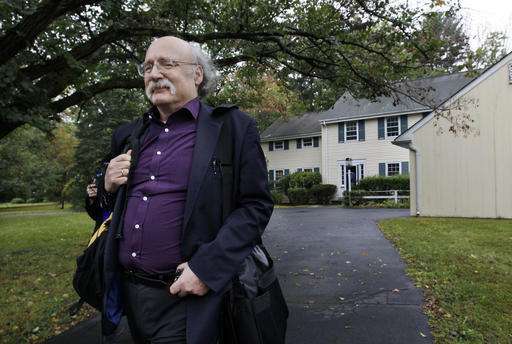 Michael Thouless, son of David Thouless, told the AP his father wasn't able to give interviews because of medical reasons. 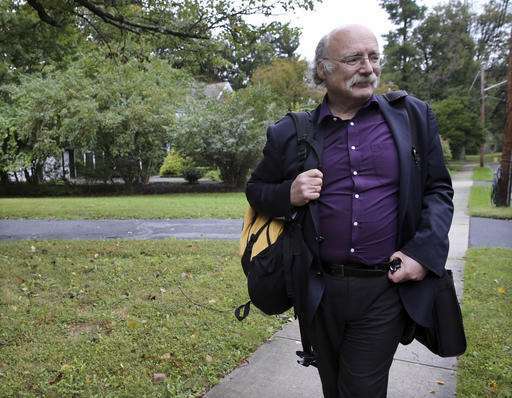 In a statement Michael Thouless said his father "was moved and honored to learn of the Nobel Prize, and he was very happy to hear that he would share it with Mike Kosterlitz and Duncan Haldane." 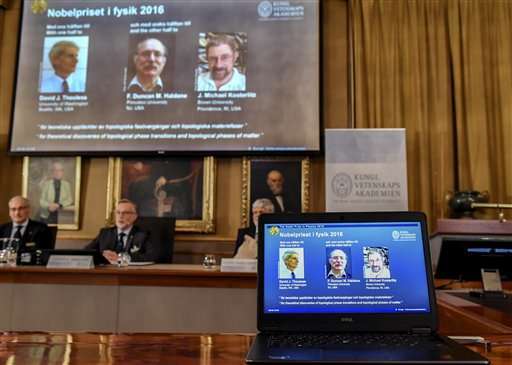 Nobel committee member David Haviland said this year's prize was more about theoretical discoveries even though they may result in practical applications. 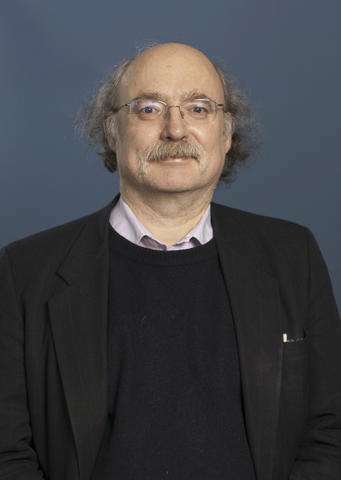 "These theoreticians have come up with a description of these materials using topological ideas, which have proven very fruitful and has led to a lot of ongoing research about material properties," he said. "The big hope is that some of these new materials could lead to quantum computers and other new technology," he said. "I've been waiting for my desktop quantum computer for years, but it's still showing no signs of appearing," he said. "At the risk of making a bad mistake, I would say that this quantum computation stuff is a long way from being practical." Besides the prize money, the winners get a medal and a diploma at the award ceremonies on Dec. 10, the anniversary of prize founder Alfred Nobel's death in 1896. 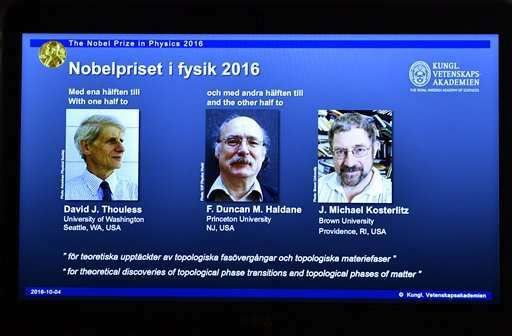 Three British-born scientists who have conducted extensive research in the United States won this year's Nobel Prize in physics on Tuesday. 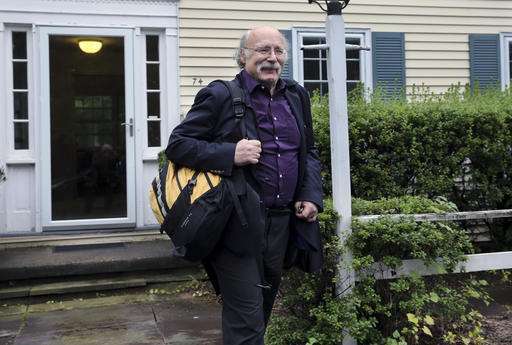 They are David Thouless, 82, a professor emeritus at the University of Washington; Duncan Haldane, 65, a physics professor at Princeton University in New Jersey, and 73-year-old Michael Kosterlitz of Brown University in Rhode Island. Their research broke new ground in the 1970s and 1980s and is being honored decades later as recognition of its lasting impact. The Royal Swedish Academy of Sciences said the trio "opened the door" to a new, previously hidden world in which matter takes unusual states. The academy said their elegant theoretical discoveries had inspired scientists in the intervening years. They are credited with groundbreaking work revealing the secrets of exotic matter such as superconductors, materials that conduct electricity with no loss to resistance. This may lead to the development of new materials for use in advanced electronics or computers. A very pleased Haldane took several questions by phone link from journalists covering the Nobel ceremony. 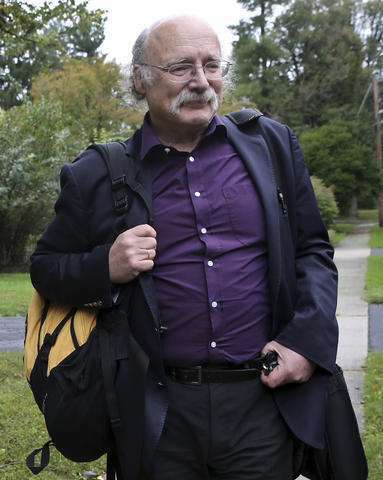 He said the laureates "stumbled" onto the discoveries that would bring them global recognition decades later and said that was often the way new finds are made. He also paid tribute to the motivation provided by Philip Anderson, an earlier Nobel winner who was one of his professors at Cambridge University. Haldane said he was "very surprised and very gratified" by the award. 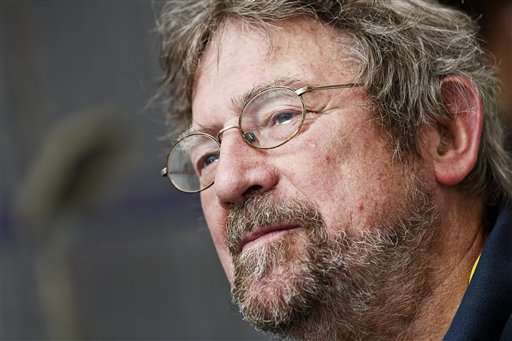 Kosterlitz told The Associated Press he was "a little bit dazzled. I'm still trying to take it in." He said he was in his 20s when the research began and that his "complete ignorance" helped because he wasn't held back by preconceived notions. "I was young and stupid enough to take it on," he said. 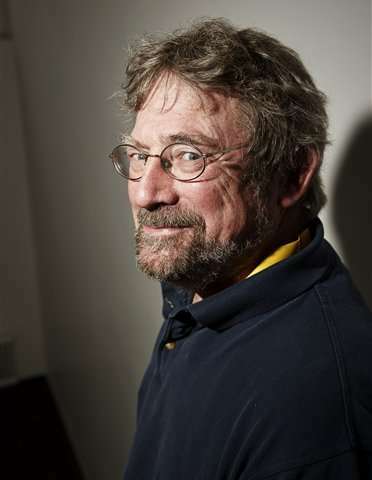 The Nobel Prize carries with it an 8 million kronor ($930,000) prize in addition to a medal and a diploma that is handed out at the award ceremonies each December. This year's Laureates opened the door on an unknown world where matter can assume strange states. 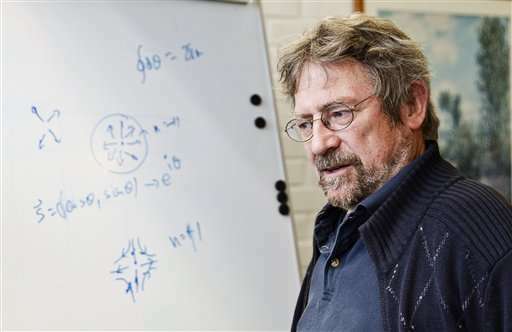 They have used advanced mathematical methods to study unusual phases, or states, of matter, such as superconductors, superfluids or thin magnetic films. Thanks to their pioneering work, the hunt is now on for new and exotic phases of matter. Many people are hopeful of future applications in both materials science and electronics. The three Laureates' use of topological concepts in physics was decisive for their discoveries. Topology is a branch of mathematics that describes properties that only change step-wise. Using topology as a tool, they were able to astound the experts. 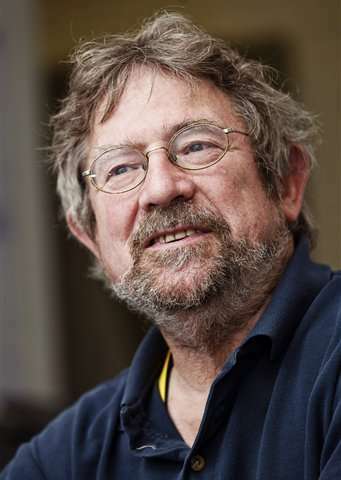 In the early 1970s, Michael Kosterlitz and David Thouless overturned the then current theory that superconductivity or suprafluidity could not occur in thin layers. They demonstrated that superconductivity could occur at low temperatures and also explained the mechanism, phase transition, that makes superconductivity disappear at higher temperatures. In the 1980s, Thouless was able to explain a previous experiment with very thin electrically conducting layers in which conductance was precisely measured as integer steps. He showed that these integers were topological in their nature. At around the same time, Duncan Haldane discovered how topological concepts can be used to understand the properties of chains of small magnets found in some materials. We now know of many topological phases, not only in thin layers and threads, but also in ordinary three-dimensional materials. Over the last decade, this area has boosted frontline research in condensed matter physics, not least because of the hope that topological materials could be used in new generations of electronics and superconductors, or in future quantum computers. Current research is revealing the secrets of matter in the exotic worlds discovered by this year's Nobel Laureates. As the article notes: Prizes are usually given decades after discovery. Which is a beyond-stupid comment since no one knows yet what DM is. How could anyone get a Nobel Prize for that? But once someone figures out what causes the DM effects there'll be a Nobel Prize in that. Since cold fusion and antigravity are neither underpinned by theory nor by experiment: good luck getting those up for the Nobel Prize. Might as well try for the prize in biology for youzr stable of unicorns. ""The prize has been sitting on a shelf somewhere for the last 20 years," Lederman told the Associated Press. "I made a decision to sell it. It seems like a logical thing to do."" -Sorry I'm a little bored today. Perhaps Dr Mills will get his next year? Would love to see a topological analysis of the diametrical spherical fields we call charge! Those of you who've not gotten the Nobel medal you deserve, can purchase one on ebay! I don't deserve one myself. But I do appreciate the comments, some more than others. 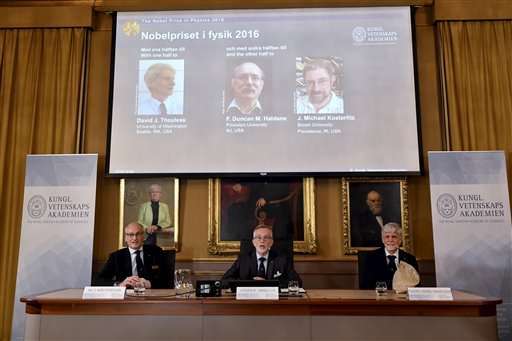 Fortunately neither gravitational wave finding (), neither dark matter research () got Nobel prize for Physics this year. Among other research seen as worthy of the physics prize this year is the 1975 discovery of galaxy rotation rates, which led to the theory of dark matter. Americans Vera Rubin and Kent Ford could be honoured for their work in this field. You may think about DM theory whatever you will, but the research in question here was solid science. 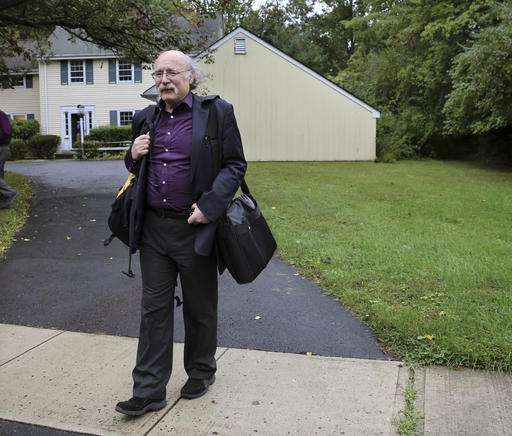 LIGO will not win a Nobel prize. Their facility only detects the bow shock waves of cataclysmic events elsewhere in the cosmos. The interpretation of the results are open to question. They do not win awards just for guessing that what they found might be gravity waves. They might be wrong.